about her new E.P., Crisis, and what sort of themes inspired it. I ask her whether she has a favourite cut from the E.P. and the artists/albums that mean a lot to her; whether she has any plans worked out for 2019 and which rising acts we should keep an eye out for. 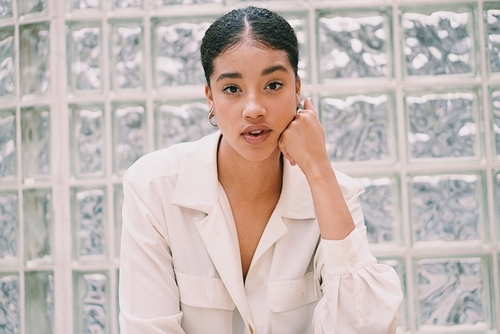 The U.S. songwriter tells me about Los Angeles and how important it was moving there; what advice she would give to artists coming through right now and how she spends time away from music – Phé ends the interview by selecting a great track. Hi, Phé. How are you? How has your week been? Hey! My week has been good. Pretty crazy, but good! I released my debut E.P. on Friday (December 14th) and then flew home to Canada on the 16th, so it’s been a packed weekend. My name is Phé. I’m twenty-four years old, and I’m an independent, contemporary R&B artist, originally from Vancouver Canada but currently living in Los Angeles. I attended the Berklee College of Music where I studied Songwriting, Vocal Performance and Music Business. And it was actually during my time at Berklee that I decided to pursue a full-time career as a solo artist and songwriter. Fun fact: I love Disney movies - I know, essentially, all the words to all the songs from the Disney Princess movies. I also really love musical theatre and wanted to be on Broadway growing up. Crisis is your new E.P. What sort of themes and idea inspired the songs? My debut E.P., Crisis, follows my first experience with love and heartbreak. It explores themes of love and heartbreak but, deeper than that, it really takes a look at my experience with love at a young age and how I lost myself in the relationship. So, when it ended, I felt like I had lost myself and my sense of worth. So, the project looks at the ideas of self-love and self-worth; sexual exploration and sexuality; mental-health, drug and alcohol abuse and how I dealt with those things throughout my relationship and breakup. That’s a hard one for me! They all hold a really special place in my heart because they played such a large role in my healing process. But, Incredible is definitely my baby because it was the first song I wrote that felt like something I would want to release as an artist. It was my first exploration as an artist and was really the catalyst for my journey as Phé. Some of the artists I really look up to are Erykah Badu, Sade and Lauryn Hill. These three women really stood out and impacted me when I was young! They all hold such an incredible power and have their own special feminine energy that I really admire - and that spoke to me from a very young age. Growing up, I would listen to their music, watch videos of their live performances - and music videos - and was just so drawn to the way they carried themselves, expressed their stories and invited the listeners into their space. Each is super-different and I look to each of them for something different. You are based in Los Angeles. How important is the city and the people regarding your sound and drive? Moving to L.A, was a huge step for me and was not an easy transition at all. It’s a giant city with a lot of people - a majority of who seem to be in the entertainment industry in some capacity. So, that was super-overwhelming for me! But, having started to find my groove - and settle in here -, I’ve been able to take advantage of how great of a city it is. A large chunk of my community from Berklee is actually in L.A., so I’m lucky enough to have a huge support system and a large network of creatives to work with. It keeps me in check and allows for me to always be creating and collaborating with amazing people that I wouldn’t be able to work with in the same way, if I wasn’t in L.A. I think being in the middle of all the action (which, for the music industry, mostly takes place in L.A.) is super-important. It allows you to be in spaces and make connections that you just don’t have access to in other cities. I definitely have plans for 2019! With the E.P. finished and released that frees up a lot of time to work on writing and recording music new music. I don’t have anything set in terms of the next release - I want to enjoy this release and let the next project happen organically. But, I am always creating and working on new stuff so, as I create more, the next project will become a little more concrete. I also want to play more shows in 2019 because I love being on stage and playing live. Beyond that, I’ve recently started playing around with production which has been a lot of fun and has helped me to find a new outlet of expression! So, I want to keep learning and building up that skill. I would have to say my most recent, favorite memory would be a show I played at Winston House in Venice. The space and the audience had such a beautiful energy and we were all just present and there sharing this moment together. It was a space where I felt truly seen and heard and where my music got to speak for itself - and people were super-receptive of that. I feel like in today’s social climate, we don’t often get moments where everyone is present and open and to feel that energy of support and presence from a crowd of people - and then to be able to give that same energy back - was a really beautiful and transcendent experience. I had never heard an album like this before and the first time I heard it, I was immediately hooked and inspired. It’s so smart, so well done and is a beautiful body of work that takes the listener (or at least me)on a new journey every time. The sonics, language; imagery and stories in this album are all so beautifully crafted and expressed. Frank invites the listener into these intimate and personal moments. And not only that, but he paint such great pictures of each moment: one can’t help but feel like that are there or they experienced it themselves. This album speaks to me heavy. 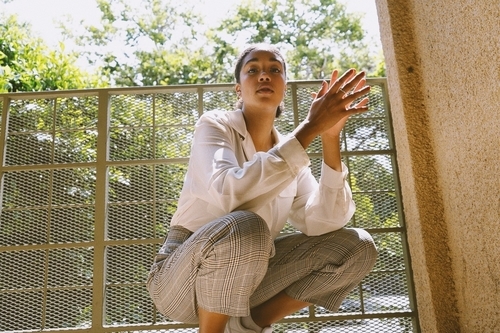 Solange tells these stories of her experience as a young woman of color in such a poetic and beautiful way, even though the experiences or emotions that she is depicting really tough and painful things to go through. Her art of storytelling, both musically and visually, honestly blows me away. She is gentle with herself, yet commands this unmistakable power. Lastly, I would say the soundtracks to the Disney Princess Movies that were released between 1989 and 1998 - Beauty and the Beast, The Little Mermaid; Mulan, Pocahontas; Aladdin and Hercules, even though they aren’t technically ‘princess’ movies. These movies and their soundtracks were sort of how I started singing as a little girl. I would sit and re-watch them over and over; singing along to every word of every song - and that's how I taught myself to sing. They were my first exploration of my voice and allowed me to feel free and happy. Even now, when I’m not feeling so great or just need to be cheered up, my boyfriend will put on a song from one of these movies and it honestly perks me right up. I will dance around our apartment singing along at the top of my lungs and, by the time the song is over, I almost always feel better. For Christmas this year, I would ask that you - my family, friends and fans - share my E.P. with one other person who hasn’t heard of me or of the project. That would mean so much! I just want my music to bring clarity and healing to people’s lives. My rider would be pretty simple, honestly. I’m not too fussy. Ahaha. It would probably include bourbon, honey; lemon and hot water for a nice hot toddy to loosen the nerves a bit pre-show, without drying out the vocal cords too much. Some snacks that aren’t too heavy for before the show - fruits/berries and veg (no honeydew, cantaloupe; peppers or mushrooms) - hummus, crackers and maybe like assorted Clif Bars. And hot Cheetos and Sour Patch Kids for a post-show snack! (Laughs). Trust your instincts; be honest with yourself and try to be as objective as possible when it comes to the business of your craft. The universe didn’t show everyone else your vision or your purpose: it showed you! So, trust yourself and listen to how people, spaces; situations, your music; the choices you are faced with and the way you are going about building your career make you feel. Is it authentic? Does it satisfy your spirit? With that, it’s also important to be honest with yourself and as objective as possible when it comes to running your business - which is your brand, your music and your career. What are your strengths? What isn’t working? Why? What needs to change or could improve? These are questions that we need to constantly be asking ourselves and re-evaluating. There are a lot of people out there that can help you but there are also people will take advantage of you. There are people who want the best for you and those that want the best for themselves. But, at the end of the day, you hold the power for how far you can go. So, be sure you are having that internal dialogue and constantly checking in with yourself. Just be real. Be you. That's what the world needs and people resonate with that. I am working on some dates for the New Year but, right now, I have one gig with Sofar Sounds confirmed for January - location T.B.A. but everything will be announced on my socials. Follow me on the socials to stay up to date on future shows! Ouuu...there are so many! Especially because a lot of my friends are in music and have really amazing projects. Jessie Munro is INCREDIBLE! She released a project a couple months ago and it’s soo good. 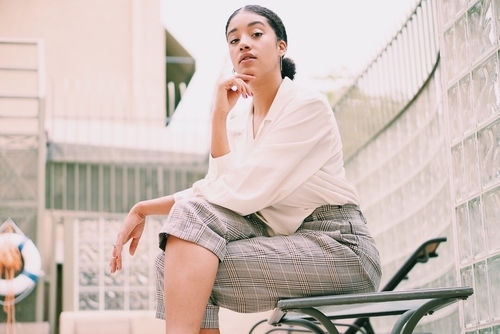 LILI N is an Italian R&B/Pop artist and songwriter who is about to blow up. Check out her single, Spiritual Level. And, another super-cool up and coming artist is Mafalda. She does really beautiful Indie/Alternative Pop music that will shake your soul. My chill time is very sporadic and random, because I do generally make my own schedule and I find that I work better when I am busy. Very recently, a lot of my usual free time has been filled with playing around with music production - because that’s something new and exciting to me. But, outside of music, one of my biggest priorities is spending time with the people I love - my boyfriend and friends (or my family when I am visiting home). I also love Netflix (maybe a little bit too much). I really enjoy cooking and baking. I’ve been exploring the different hiking spots in L.A. and I love going to see live shows when I have the time and money - it’s hard out here for an independent artist (laughs). I also enjoy learning about things like auras and energy, astrology; numerology, human design; holistic healing methods etc.